→Are Your Facebook Fans People or Bots? 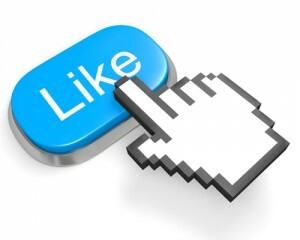 Does your business have thousands of â€œLikesâ€ and millions of “Followers”? Do you get excited? Iâ€™m sure you do. But are they all from real people? Some studies show that many of these clicks that our pages get are from spammers. Not so excited now, are you? You must monitor the â€œlikesâ€ you get and find out who and where theyâ€™re from. It may not be reasonable for us to monitor every click our page gets, but we definitely need to be a little more conscious about the traffic to our page. Again, it would be silly to think that we can do this with everyone, but start somewhere. We all want our marketing ads to lead to business, so we need to make sure that the traffic we are getting is real. And, if you find out that there are some who aren’t really your “friends”, just unfollow, unfriend, unlike, hide and remove them from your lists! It feels weird at first, but you’ll really be able to see the people who will benefit from your friendship. You all know my famous phrase…Just Go Do This Stuff! Discover and analyze your Facebook Likes especially if you’re using ads to drive traffic to your website. How To Succeed In Affiliate Marketing Even If You Don’t Have A List!